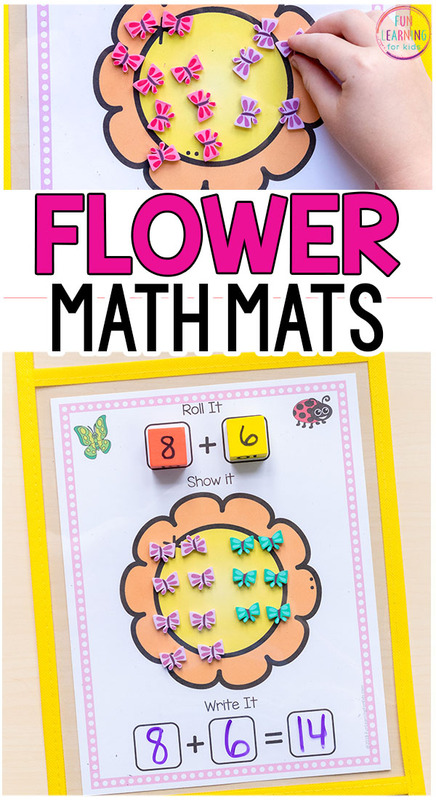 Your kids are going to love these flower addition and subtraction mats! 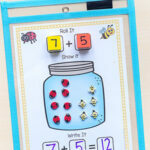 They are perfect for spring math centers or insect theme activities. 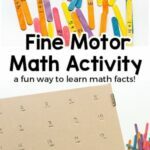 I like to make our math instruction more fun and hands-on while still teaching the standards. 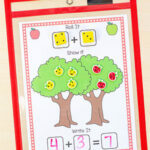 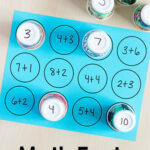 These addition and subtraction mats are perfect for that. 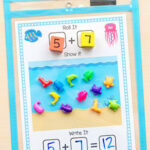 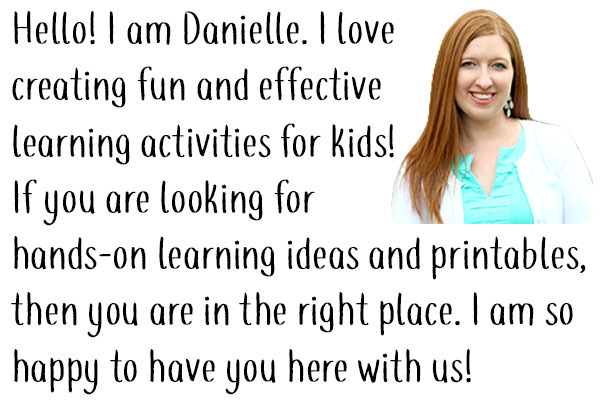 They break up the monotony of worksheets and book work while being engaging and enjoyable. 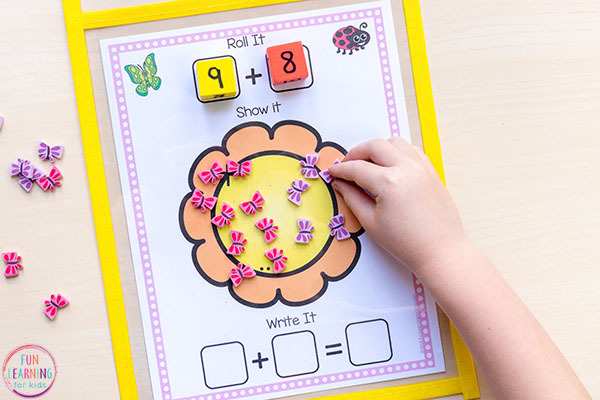 The mats are print and play. 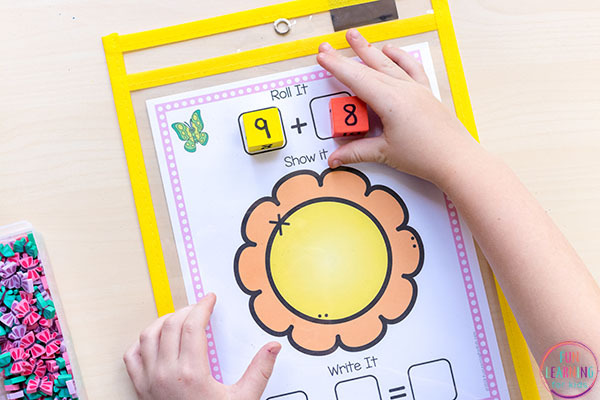 They require no prep from you. 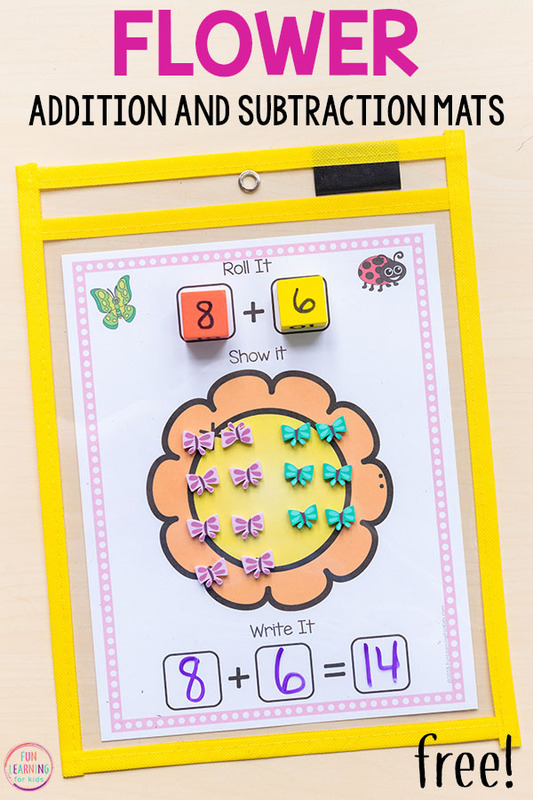 Other than making dice, if you would like. 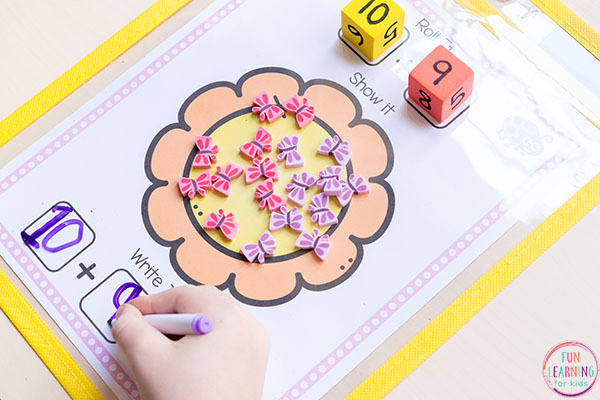 Then they will put that many butterfly mini erasers or insect manipulatives on the flower. 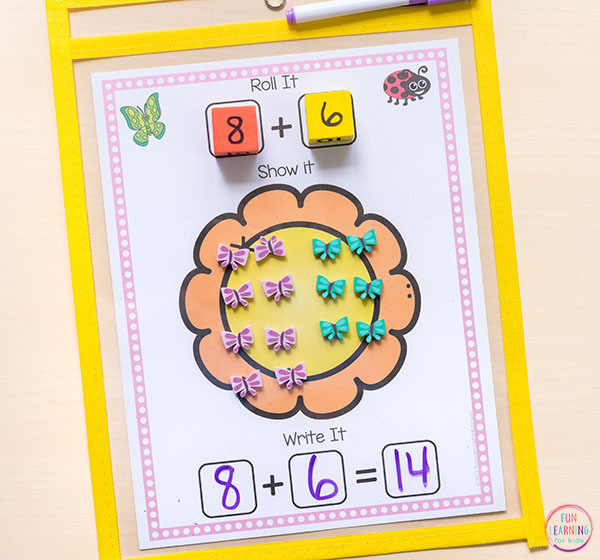 Next, they will roll the second dice and add that many butterflies to the flower. 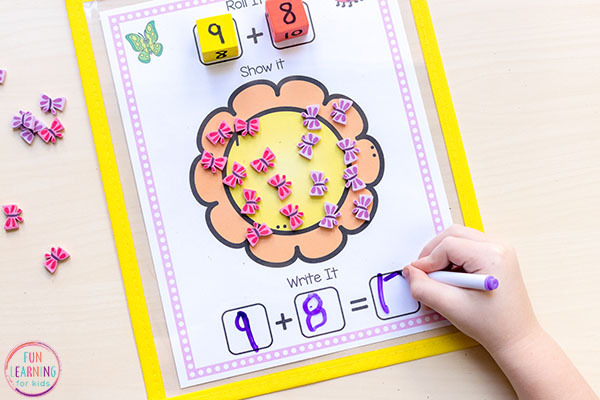 Then they will count up all of the butterflies to see how many there are in total.